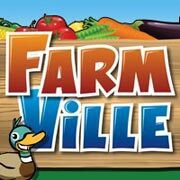 As you may know, a Shaklee has partnered with FarmVille on Facebook. Click here to learn more about the details. 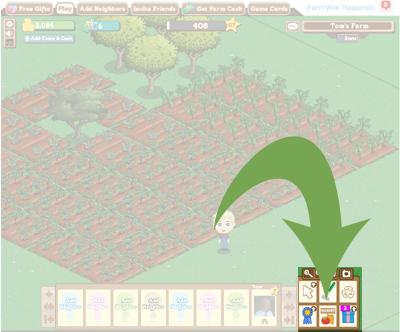 How do you find Shaklee on your own Farm on FarmVille? Step 1: Log into FarmVille on Facebook. If you haven’t started yet you can join the 35 million (yes million) other players and get your farm up and running today. 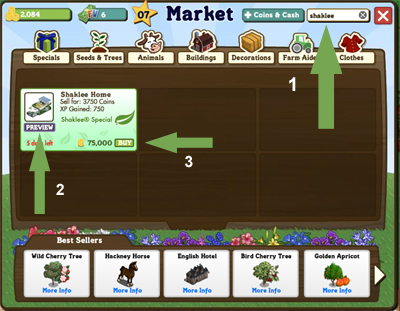 Step 2: Go to the Market on FarmVille (see the image below) and check out everything you can buy. 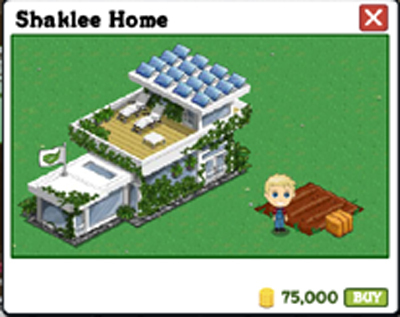 Step 3: First (1) search for “Shaklee”, then (2) you can preview the great all-Shaklee home; next you can BUY (3) this great home and add it to your own farm. If you don’t have enough coins to purchase this Shaklee Home, you can just buy the amount you need. FarmVille will show you how. CLICK HERE GET YOUR FARMVILLE HEALTHY HOME PACK RIGHT NOW! But hurry, the offer expires on May 20. This entry was posted in Get Clean, Green, Healthy Lifestyle, Home, Products, Web Site and tagged basic h, facebook, farmville, how to on May 9, 2011 by Tom Leonard. Shaklee has partnered with Zynga® and FarmVille™, the second most popular online game within the Facebook® community. For a limited time, beginning May 9th, FarmVille players can purchase a “Shaklee Healthy Home” to put on their virtual farm, and can also choose to purchase a special Shaklee Healthy Home Pack (the same pack available for new Members starting 4/22, #59729), and join Shaklee for FREE. An estimated 35 million people play FarmVille — every day. And that means Shaklee, and our mission of making people and the planet healthier will become known to a lot more people. Only available at the time of sponsoring, at the amazing Member Price of $30 / 13 PV. It’s highly unlikely that this array of products will ever be offered again at such a low price — especially alongside a Join Free with $30 offer. This pack was created to make it possible for the entire Shaklee Family to make the same offer as seen on FarmVille. Offer ends May 20, 2011. 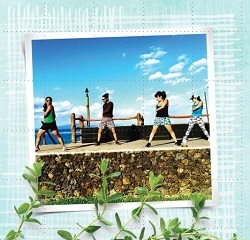 This entry was posted in Get Clean, Green, Healthy Lifestyle and tagged basic h, facebook, farmville, Home, Products on May 8, 2011 by Tom Leonard.